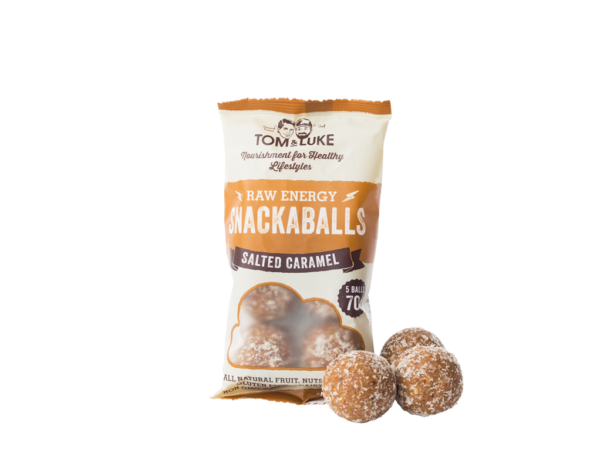 The Salted Caramel version of our Snackaballs range is a delicious guilt free sweet treat! Made with a base of dates, cashew nuts & New Zealand Sea Salt! We’ve also added Pea Protein to increase the total protein content while keeping them vegan. Perfect mid-morning, mid afternoon or as a little boost before or after some exercise. 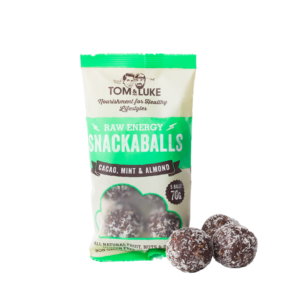 Our Snackaballs are the healthier snack option to get you through the day. Scrumptious like a naughty treat, but absolutely nothing naughty about them! 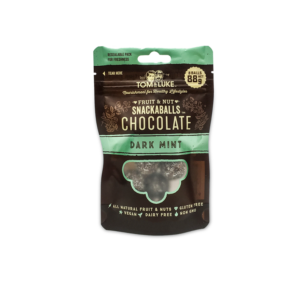 Just tried the Salted Caramel Snackaballs and they are SO delicious 🙂 Looking forward to trying the other flavours, yum yum!! Fantastic great with a cuppa tea or coffee!!! I am offically addicted. Well done guys. 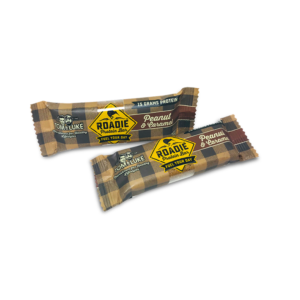 We don’t make the Natural Caramel Flavour on site & our supplier won’t give us the exact ingredients because they want to protect their IP. However, we can confirm that there are no chemicals, colours, preservatives or added sugars in the flavouring. Hope this helps! These are so yummy they are addictive. Have been buying them each week at my local supermarket. I love a few late at night as dessert. My dog loves them too. I agree with the other reviews, the salted caramel snackaballs are really really good. A perfect gluten free mid afternoon snack. Hi! I love these Snackaballs, they’re my fav! But my friend here, Naomi, is refined sugar free and holding out on buying some for her underwater hockey training camp because she is not sure whether the natural caramel flavouring is refined sugar free. I was wondering if you could tell us? 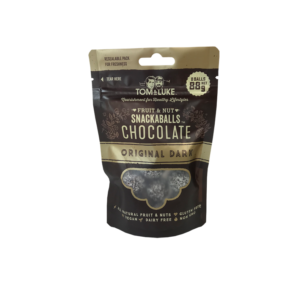 Yes, our Snackaballs are 100% refined sugar free. The sugars are naturally occurring within the dates. I usually hate bliss balls and date based snacks, however these are just amazing. Bought from my work canteen on a whim, and bam haven’t looked back. My go to when I’m craving something naughty, with nothing naughty in them these just are perfection.